Dedicated to growing our sport. Since 1967. 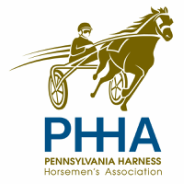 The PHHA is committed to the promotion and development of harness racing in Pennsylvania, constantly advocating for the best interests of our industry. We maintain staffed offices at both of our member tracks, The Downs at Mohegan Sun Pocono and Harrah’s Philadelphia Casino & Racetrack. The PHHA is guided by one of the most active and experienced teams in the entire standardbred industry. Our Board of Directors consists of current and former breeders, drivers, trainers, vets and other harness racing professionals. You can be confident that you are joining an organization singularly dedicated to the development of Pennsylvania harness racing. Michael manages the association's day-to-day operations including contract negotiations, government relations, interfacing with the state commission and track officials, PHHA PAC, philanthropy and staff oversight. Prior to joining the PHHA, he worked in the Harrah’s Philadelphia race office from 2000-2016. Michael is a graduate of West Chester University. Viet is responsible for all of the PHHA’s financial operations including accounting, audit and compliance. He was previously a Senior Accountant for Harrah’s Philadelphia and has served in finance positions with JP Morgan Chase, KPMG and ARAMARK. A graduate of LaSalle University, Viet is also working toward an MBA in Accounting from Wilmington University and was a Sergeant in the US Army National Guard. Ron participates in the planning and coordination of stakes and major racing events with track management at Harrah's Philadelphia Casino & Racetrack and The Downs at Mohegan Sun Pocono. He is a former horseman and driver and previously served as Executive Director of the PHHA from 1987-2015. Pete manages the PHHA's office at Mohegan Sun at Pocono Downs. He served as a Unit Administrator for the Department of Defense, a Supply Sergeant with the Army National Guard and spent seven years in the Air Force, 580th Air Re-supply and Communication wing. He has worked in the racing industry since 1996. Rhonda is responsible for providing support in accounting, membership services, health insurance/benefits, as well as special projects. She has more than 25 years of experience in high-level executive support, accounting and management. Prior to joining the PHHA, she managed an appraisal department for a major mortgage company. Rachel is responsible for creating and implementing strategic, tactical marketing, branding and communications plans. Prior to joining the PHHA, she worked for The Pennsylvania State University in Strategic Communications. Rachel is a graduate of The University of Dayton and The Pennsylvania State University.